Hello again! It is Day 2 of The Annual 12 Days of Christmas Blog Hop and today we are taking favorite Christmas movies and food, oh yeah! You know I love me some Christmas movies, after all I shared the Ultimate Christmas Movie List with you all already 😉 however my all time favorite Christmas movie is National Lampoon’s Christmas Vacation. To this day it still cracks me up – that kind of humor just never gets old. Throw in a crazy cousin, stuck-up miserable neighbors and an evil squirrel and that is my kind of Christmas right there. LOL! And I truly believe I have the smoothest version of it… just sayin’! 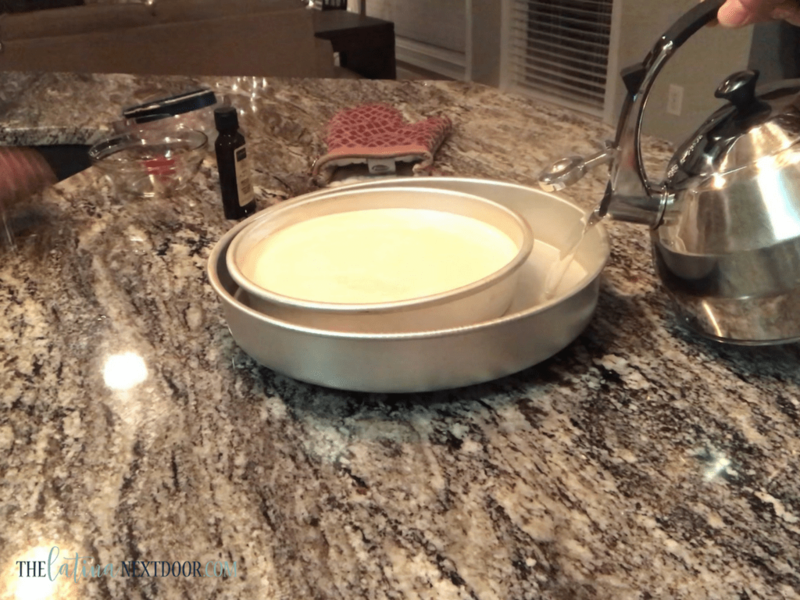 So if you want to learn how to make flan, get your tastebuds ready because this dessert is super sweet! You want to start by making your caramel. Melt sugar in a small sauce pan until it turns golden brown. Then coat the entire bottom of your pan. I used a round 9×9 pan. Be careful, it is hot! 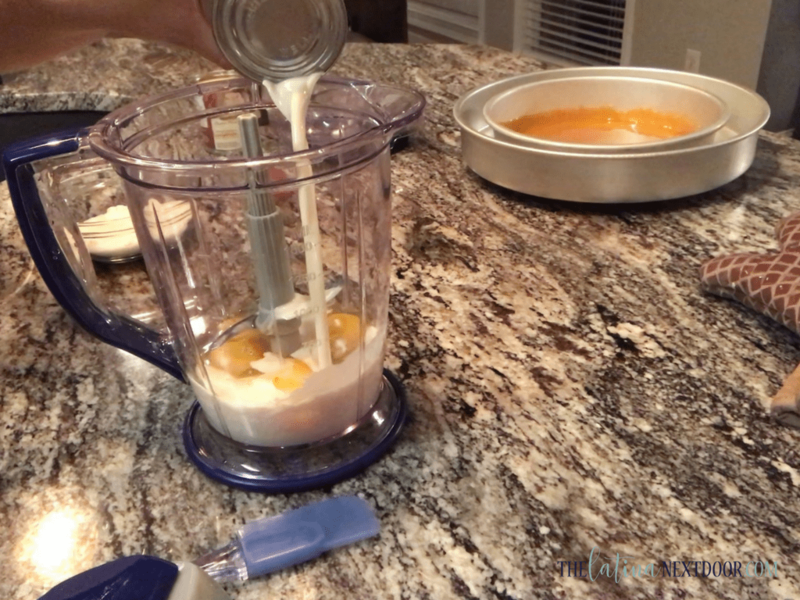 Next you want to combine all of your flan ingredients in a blender and blend about 1 minute (no more than 2) so that everything is well mixed. Do NOT over mix. This will make the flan too dense. Poor mix into your pan. You will need to bake this in a water bath. Pour hot water into the bath after you pour the mixture. Stick in the oven at 350 degrees for 1 hour. Once you remove it from the oven. Give it a bit to sit on the counter and cool down before removing it. You still want it rather warm though when you do. Be sure to use a knife to “unstick” it from the sides. 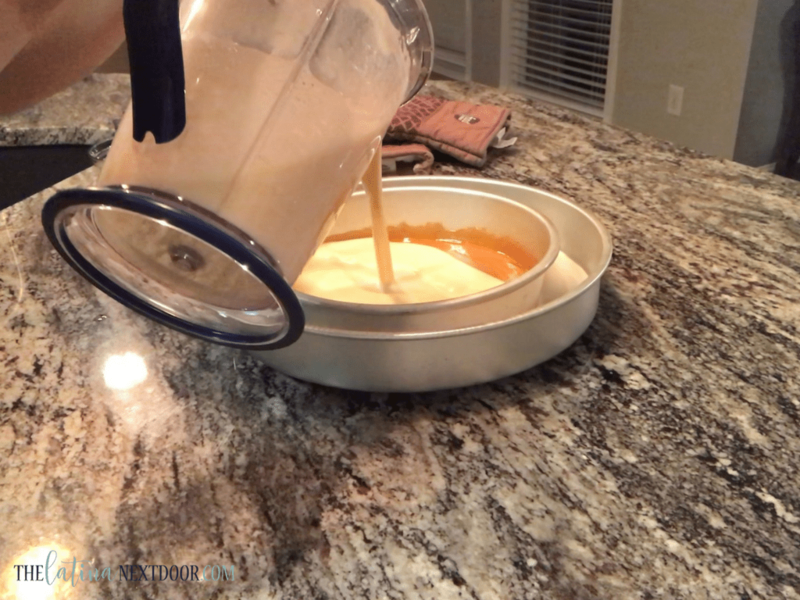 The caramel underneath acts as a barrier between the flan and the pan so it will come right out. Let it cool some more before placing it into the fridge. You want to leave it overnight so that it gets completely cold and then serve! It’s so smooth and creamy! 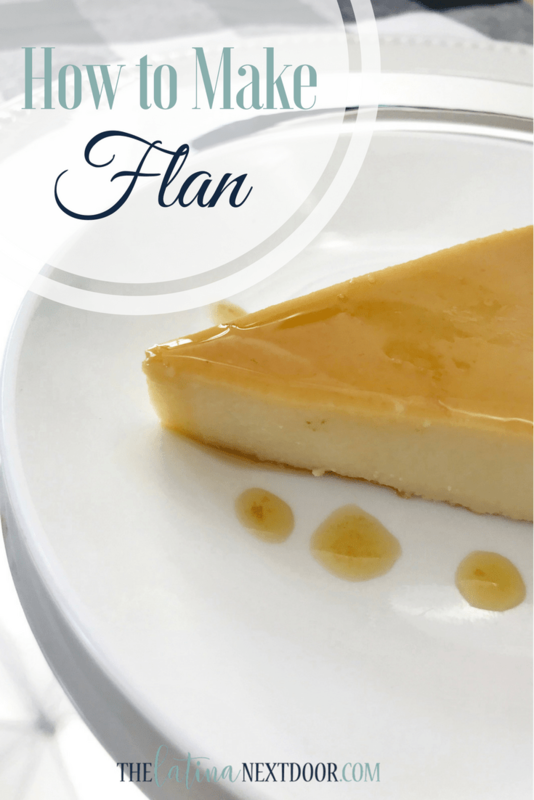 I hope you give this a try and learn how to make flan with this super easy recipe. You will definitely enjoy this dessert! Now off I got to watch me some Clark Griswold…. LOVE that movie! 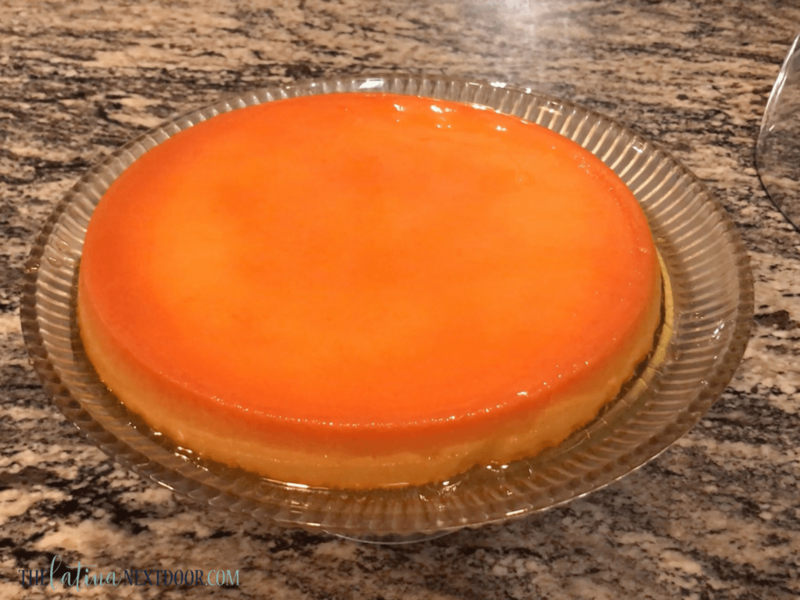 I don’t think I’ve ever tried flan, it looks delicious! It’s my oldest daughter’s favorite dessert. It’s so simple and tastes so good. If you ever try I would love to hear what you think. I love flan! I’ve never made it but always order it when I see it on a menu! It’s so good and super easy to make! You should totally give it a shot!